Podgorica, (MINA-BUSINESS) – Mentoring services should be available to the micro, small and medium-sized enterprises on the whole territory of Montenegro, facilitating the operation of the companies in which certain weaknesses have been identified. The Ministry of Economy says in a press release that recognitions have been awarded to the best mentors involved in the second phase of the Project on Establishment and Promotion of Mentoring Service for Small and Medium-sized Enterprises in the Western Balkans. “The mentors had an opportunity to share their field experiences and challenges they had faced providing mentoring services to companies,” the Ministry says. The best mentor was selected by other mentors and a panel of members of a consulting team of the Japan International Cooperation Agency (JICA), on the basis of the criteria related to implementation of a standardized mentoring process, and tools and techniques used in this process. Sasa Jovanovic of the Business Start-up Centre Bar has won the title of the best mentor. Director General of the Directorate for Regional Development at the Ministry, Milos Celanovic, said that the micro, small and medium-sized enterprises from all over Montenegro should have access to the mentoring service. 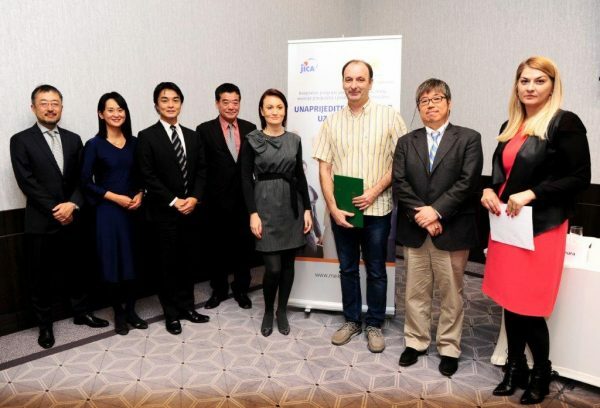 Director of the JICA Balkan Office, Hideya Kobayashi, said that selection of a mentor of the year was an important event in a mentoring scheme. “This event is expected to boost the motivation of all mentors, exchange of experiences and good practice, mentorship knowledge and tools, and techniques every mentor should use in order to provide a good mentoring service,” said Kobayashi. JICA Consultant and Project Team Leader, Takashi Kimura, said that the development of a stable and sustainable mentoring system should contribute to the establishment of a continuous and quality support to the end users.